Sometime you need to deploy feeds of you blog to another web-application or website, and some time is very useful to have this feed in a random order. With this plugin is simple to randomize your feeds. Soon I hope to have more options about what feeds you and order by date and what feeds you want in a random order. If you want any improvement to suggest for this plugin please send me feedback and I will add your wishes. 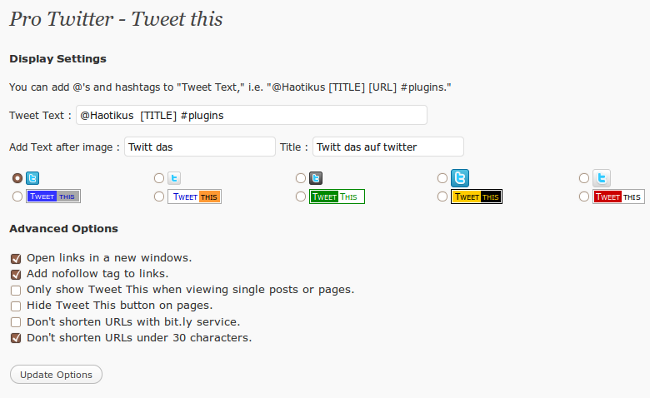 Finally we are launching today first version of ProTwitter plugin. This version is a a beta version, and have implemented only few of the options. Fast Twetter Counter became a part of this plugin and is no longer supported. 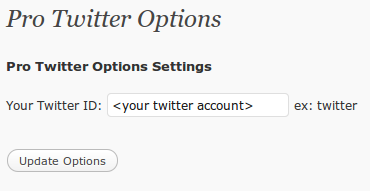 Firs feature who will be added to plugin will be tweet this option who right now is under testing. You can download the latest version of Pro Twitter here. Finally we have a new version of WPMU Fast Verification plugin. The new features add fast verification for Bing Webmaster Center & Alexa Siteowners. This plugin will allow you to do fast verification for your WordPress MU websites with Google Webmaster Tools and Yahoo! SiteExplorer. Is an easy and faster tool. Easy to install. Easy to use. 5. Go to Google Webmaster Tools and Yahoo! SiteExplorer to get your verification/authentication information. 6. Enter the meta value on the Fast Verification page and Update Options. 7. 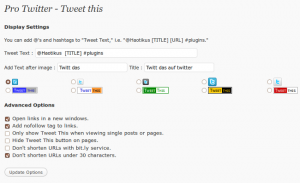 The plugin will generate meta tags on the homepage of your blog. Also you can download Romanian version WPMU Fast Verification [Romanian]. Finally, I finish my work on this plugin. Is a very useful plugin for displaying yours twitter followers in wordpress sidebar. I hope the new version will work as a widget too and will have more display options in admin. Please send me any sugestions to make this plugin better via e-mail.